#tdc is a unique sophisticated way to enjoy our love for desserts. Welcome to The Dessert Course (#tdc). Restaurants are joining together to bring you their best in desserts. Bask in your guilty pleasures by enjoying a night out to celebrate what we all love - desserts. 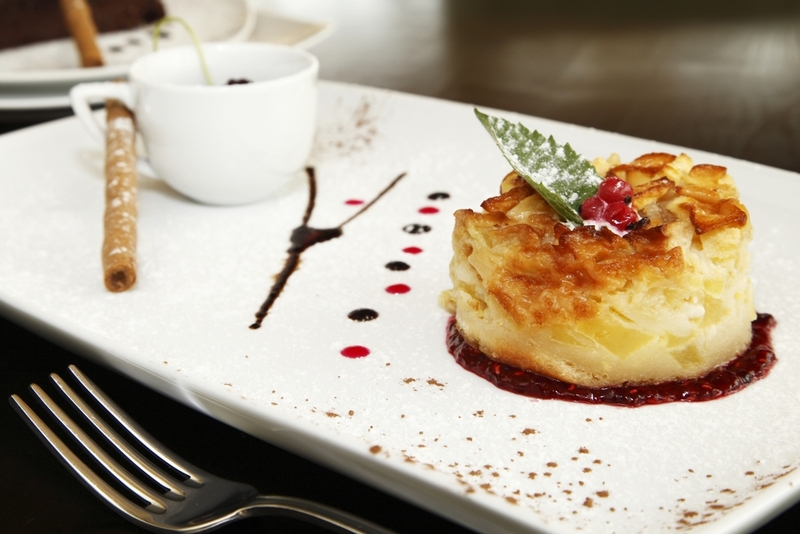 Enjoy a 3-course dessert meal specially made just for your experience. Chefs have curated special menus featuring just desserts allowing you to smile, savor, indulge and enjoy a unique night out. #tdc is perfect for a romantic night out, a night out with the girls or another day to treat yourself. Join us for this unique experience. Enjoy a sophisticated night out with some good friends. Share laughs & catch up over desserts. Be in the moment. Each chef has uniquely created a special menu for their feature night just for your sweet desires. Treat yourself. Change the routine with your significant other and date again. Enjoy an intimate night at #tdc. Fall in love again. Every plate is unique achieving that elusive, cuisine-defining balance of sweet, salty, or even sour desserts. There's just something about desserts that just makes us happy. Desserts bring together family, unites friends and rekindles love. At holiday dinner, the Pumpkin pie served at the end just makes the entire meal complete. At the end of a bad day, a pint of ice cream solves all woes. When we're in love, chocolates and flowers are everything. Our significant others know that chocolates are the non-verbal for "I'm sorry" or "I love you". Valentine's Day is never complete without some sweet treats.Desserts trigger happiness. This is how #tdc was created. What's unique about The Dessert Course is instead of a 3-course meal full of proteins, carbs and all things hearty, our 3-course meal is all desserts. The appetizer is a dessert, entrée is a dessert and the dessert...well that's a dessert too. #tdc has partnered with some of the best restaurants in the city to showcase their best in confections. If you're gluten-free, prefer salty desserts or need sugar free, we have those options available at select restaurants. Start off your dessert experience with a small dish or a drink that will stimulate your appetite. This dessert appetizer is a teaser to set the mood for the night. Be sure to check out our Menu page which highlights all the different sweet appetizers that our restaurant partners are featuring. Dive into the most decadent of them all, your entree. As the main dish, this dessert entree is the most decadent and sophisticated dessert of the night. Our partner restaurants have carefully selected the perfect dessert flavors and layered them so each bite will take you to dessert heaven. End your dessert experience with a palette cleansing dessert. This sweet ending will refresh your taste buds and can be paired with a cup of coffee, a dessert wine or even a cocktail. Check out our Menu page for our #tdc endings. Our chefs have created these unique menus just for your pleasure.